National City, a community in South San Diego, has always had a special place in my heart. Having been raised in National City, and now working in my alma mater of Sweetwater High School in the same city, I've grown to appreciate the rich history, the diversity of culture, and the overall small town feeling National City has to offer. Whether it is the historical side with the Victorian homes found all over the city, the cultural side with the variety of cuisine to be found, or the recreational side of Bay Marina Drive or the National City Golf Course, there is much to see and do in National City. 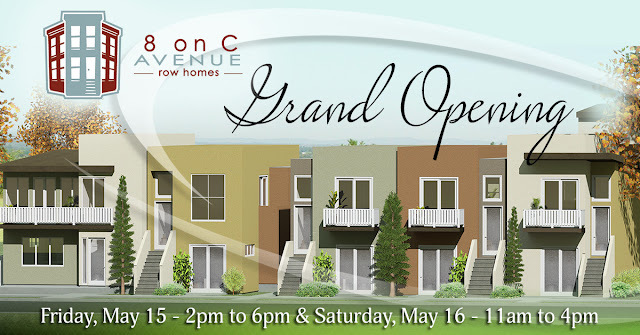 KirE Builders is proud to present their newest development in the heart of National City; 8 On C Avenue! Priced from the $300,000's and sitting only miles from San Diego’s coastal areas, Naval Bases, and the downtown community, these eight stylish and modern row homes create the perfect setting for modern living. For floor plans and details, visit http://www.8oncave.com/. I would like to invite you and your family to the Grand Opening on Friday May 15th at 2pm. I'll see you there! Be sure to follow/like KirE Builders on Twitter and Facebook to get the latest updates on the 8 On C Avenue development.